You Can Totally Be A Vampire In Skyrim's First DLC. Here's Proof. 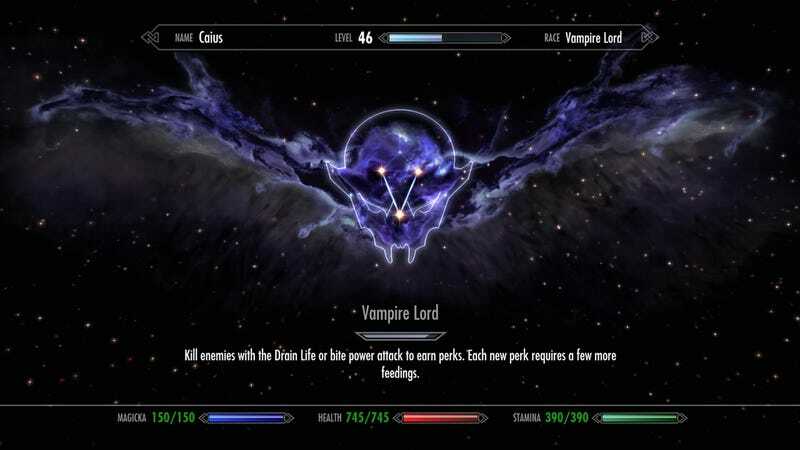 If this new perk screen is any indication, vampires will play much differently than the other races and classes in The Elder Scrolls V: Skyrim. Let the feeding begin. Check out the rest of these new images for a peek into the first upcoming DLC pack for Bethesda's role-playing game, Dawnguard, which will be out this summer.